I’m painfully addicted to the idea of the next product that will change your life. 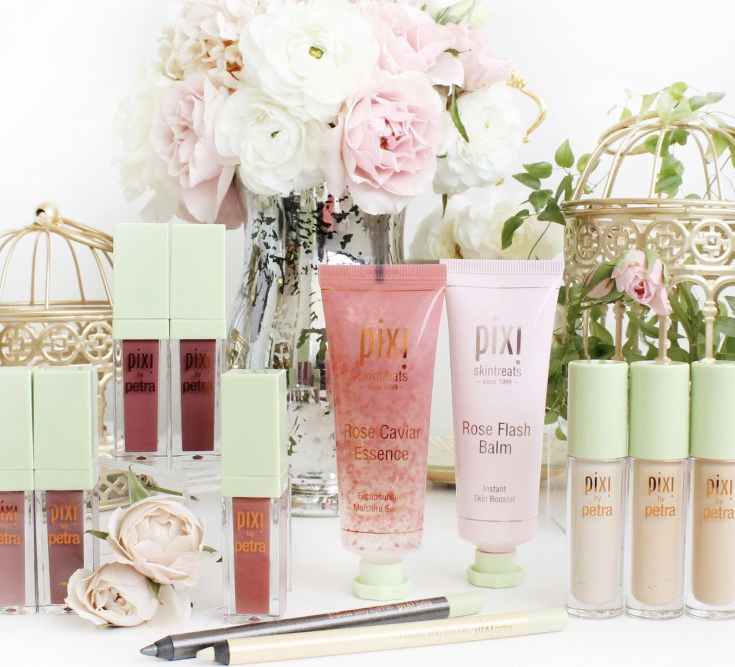 Can’t say I’ve narrowed it down (unless water is considered a product); however, let me tell you about this cool little brand called PIXI. It’s a UK based brand that was created by Petra Strand who was inspired by Swedish folklore. She’s a very real woman who wanted a very real brand that would showcase beauty and instead of covering it up. She creates multi-purpose products in a non-blush-to-eye-shadow-to-lipgloss circa 2000’s kind of way. Her products (especially her makeup) are created to do more than just one thing. Not only does her foundation smooth your skin tone for the afternoon, but it also has some brightening and hydrating components. Her products are made to last long, to keep your face in place and to be fuss-free! As a makeup artist, she saw a gap in the market and decided to create something special and honest. Her brand is clean, pretty and so far (what I’ve tried*) her products are lovely. In the upcoming days, I’m going to feature some of my favourite products of hers up here on this little slice, also known as ciekaikai. I hope you tune in to check out what’s good and what’s less good. Tried any of her products? Have any favourites?